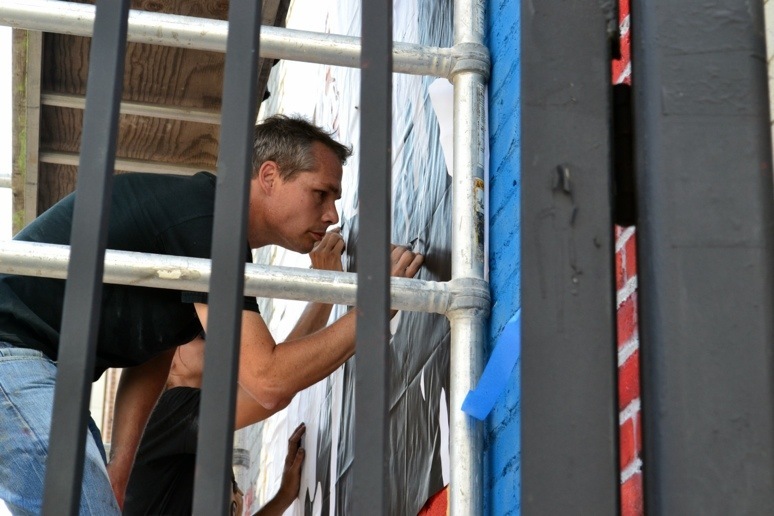 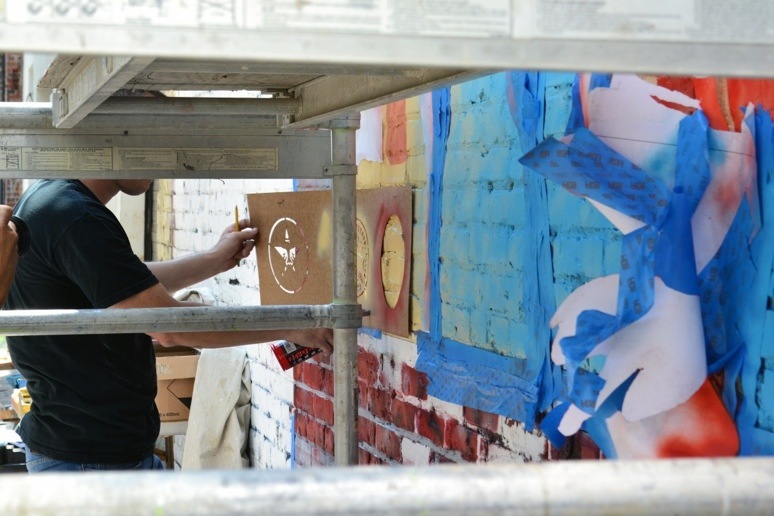 Last week we were able to stop by and check out Shepard Fairey with his crew working on a mural in downtown LA. 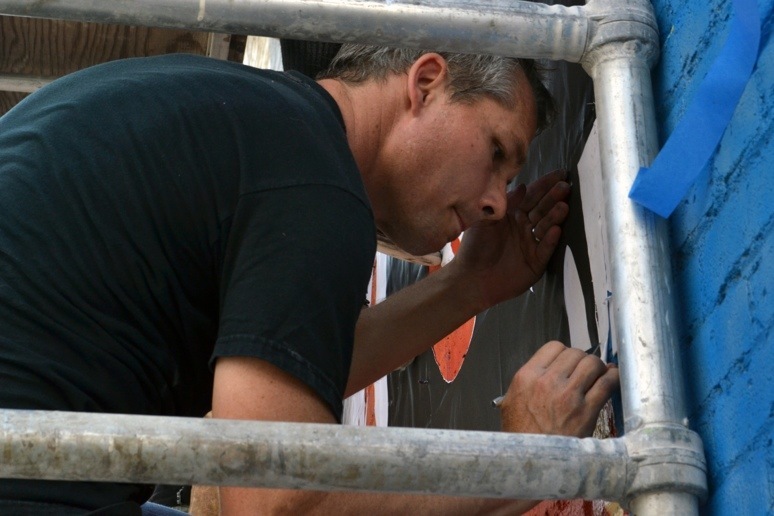 Here are some quick shots of Shepard cutting up the stencil and spraying his iconic obey logo. 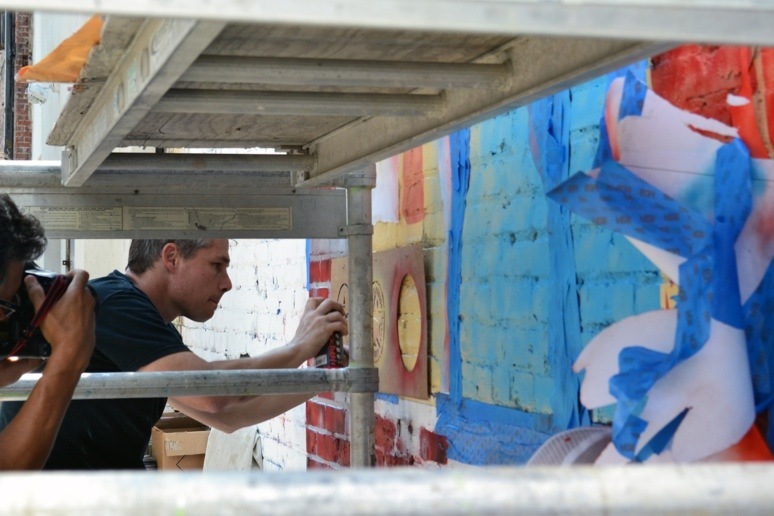 Don’t forget to check back with us in the next couple of days for photos of the completed mural.